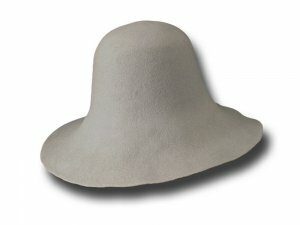 Hatboby pure wool felt 130 gr. very stiff. Is not a hat but a body you can use to do your hat by yourself.